Nordic eSports teams: the evolution of gaming and leagues. Nordic eSports teams. Pictured, Ninjas in Pyjamas. The rise of Nordic eSports teams and how the marriage of sport, gaming came to be a new phenomenon influencing audience viewership, marketing and top sporting tournaments. Today, one of the most popular online games is eSports. Years back, groups of friends would gather around and host LAN Parties while enjoying video games deep into the night. However, today, eSports has evolved tremendously. It has grown to include pro gaming tournaments and leagues. Legitimate games some of which get sponsorships dot the online gaming scenery. In fact, eSports enjoys quite an influence today. In the Nordic region, there are serious dedicated teams which have managed to trounce other teams from the region and around the world. This is a multi-regional professional team which is based in the Netherlands. It was founded in 1998. The team had its first professional players signed up in 2012 when it recruited its first North American Dot 2 team. In 2015, the team formally merged with Team Cure and went under the Team Liquid’s banner. The team’s overall winnings stand at $18.5 million. In 2010, the team started sponsoring StarCraft: Brood War and this marked the start of its eSports journey. The team has managed to present strong teams in CS:GO, Heroes of the Storm and Halo among others. They won the biggest eSports tournament in 2017. They took home The International 7 or T17. Nordavind formerly BX3 becomes the latest entrant into the third season of eSports tournament. Nordavind is a Norwegian eSports team which was formed in partnership with Valerenga Football AS, one of the biggest football teams in the country. The eSports becomes one of the newest teams to join the third season of the Gfinity Elite Series which is taking place in March in London at the Gfinity Arena. Since its launch in 2011, Nordavind has grown to become one of the top teams in the region. Alliance eSports team was formed in 2013 and is based in Sweden. The organization has teams in Dot 2 and Super Smash Bros series. They previously had teams in League of Legends and StarCraft II. Towards the end of 2016, the team announced that it had finally become player owned. The Alliance’s team in Dot 2 won The International 2013 which was at the time the largest single prize money payout in the history of eSports. During the tournament, the Dot 2 team defeated the TI champions Natus Vincere in the finals 3-2. In 2014, the Dot 2 team which was the defending champions were only able to finish 11th. In total, this team has won more than $4 million. 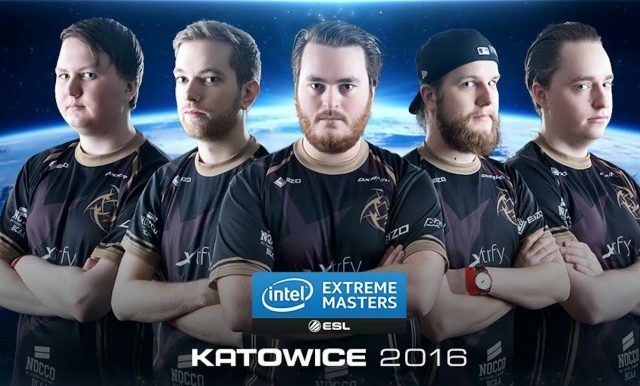 Ninjas in Pyjamas (NiP) is a Swedish eSports team which was founded in 2000. It is best known for its Counter-Strike: Global Offensive (CS:GO) team. This team had its greatest moment back in 2000 all the way to 2007 when it was dissolved. The CS:GO team is anchored by Patrik ‘f0rest’ Lindberg who used to play for the UK based firm fnatic. To-date, the organization has won close to $2.5 million. Most of the top players in the team are Swedish.